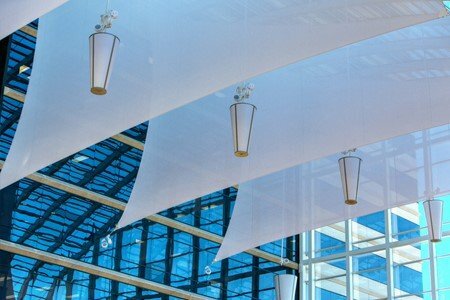 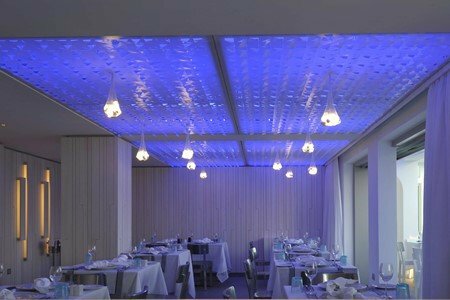 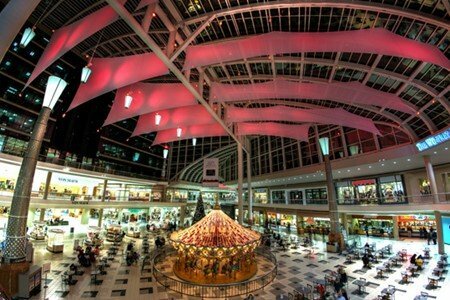 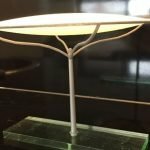 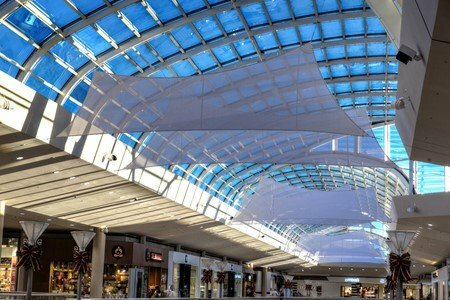 Twenty six fabric ceiling ‘blades’ installed over 100ft (30m) above the ground at Riverchase Galleria shopping mall, protect shoppers from the glaring Alabama sun. 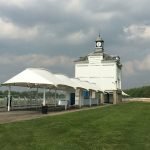 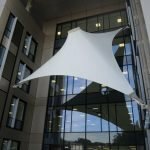 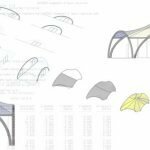 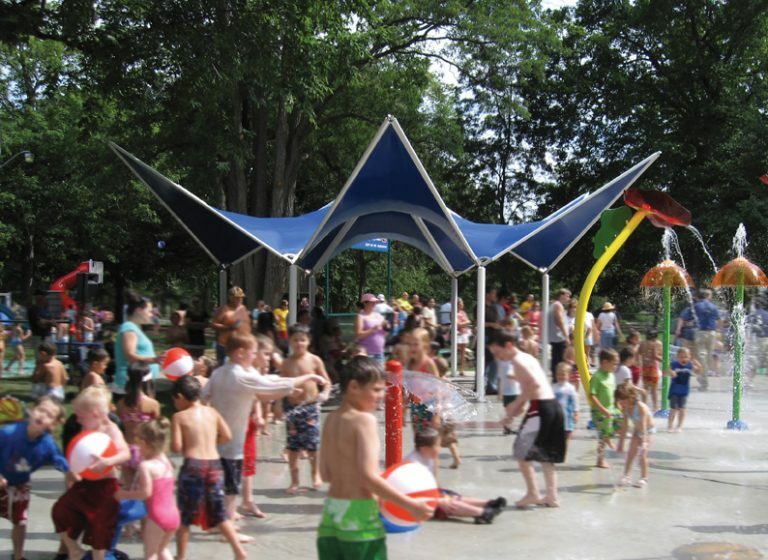 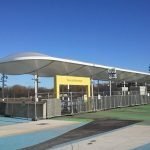 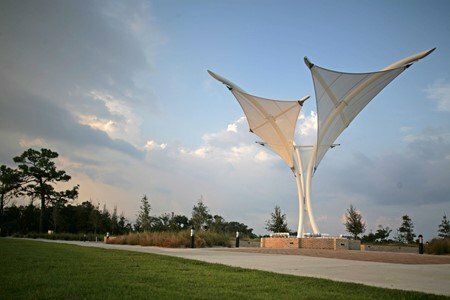 One of the advantages of using tensile fabric on this project is that it could be attached to the building’s existing steel frame without putting too much extra load on the roof. 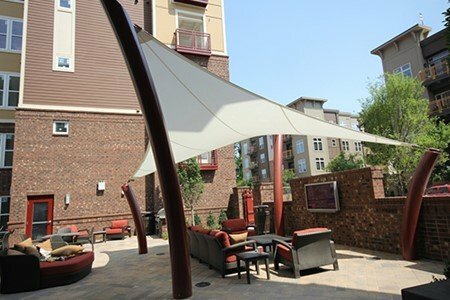 The fabrication and installation times were also kept to a minimum compared to other traditional shade options. 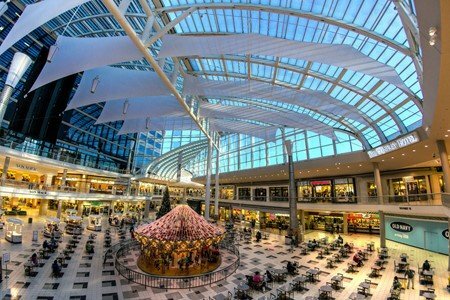 Under the heat of the midday sun, Riverchase Galleria’s shoppers wilted from the glare and heat generated by its glass atrium. 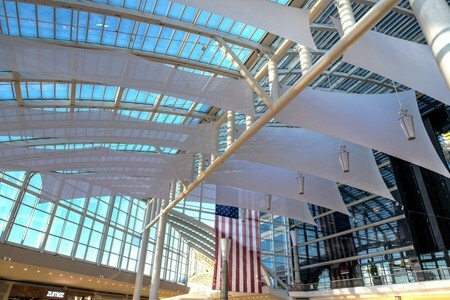 To combat this problem and reduce air conditioning costs, CHM Architects Inc. had a vision to create a shady calm from sculptural screens, suspended high above the food hall and main concourse. 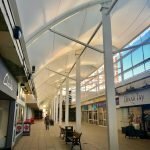 All the tensile fabric ceiling canopies would need to be installed at night when the mall was closed to the public, with the installation crew working at height from electrically powered cherry pickers. 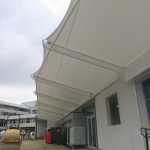 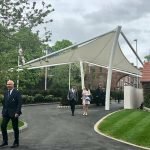 We used a high performance PVC coated mesh glass fabric in white for the blade canopies, each ranging in size from 400 sq ft (50sqm) to 1200 sq ft (113sqm). 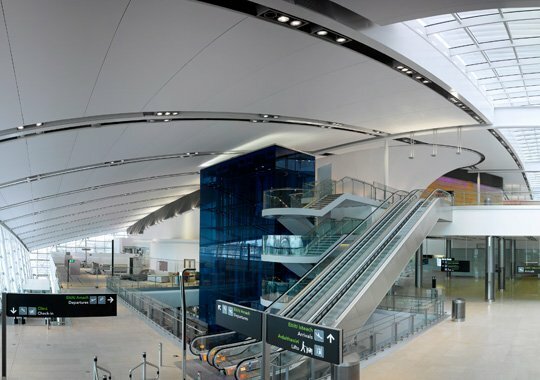 Despite their huge size, the fabric ceiling blades were hung from the steel infrastructure by tensile wires, allowing them to float like geometric clouds and blend with the shadows from the steel atrium. 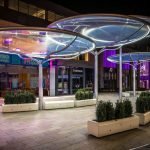 When the sun goes down the canopies will be lit by moody coloured lighting changing the look and feel of the mall for its evening visitors. 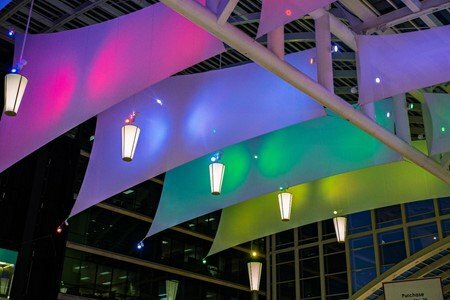 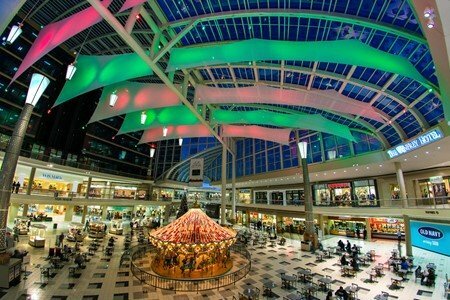 With Christmas only a few weeks away, we can’t wait to see how Riverchase incorporate the canopies with their festive decorations. 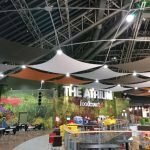 Our installation team of two men made light work of the job and had all 26 blades completed within one month. 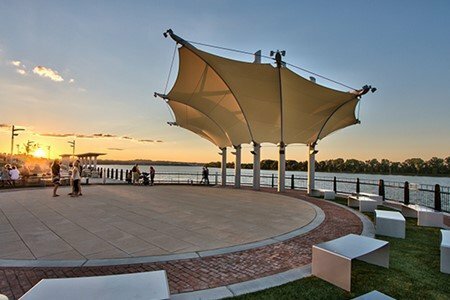 They said the view from the roof was amazing, with people on the ground looking like tiny ants.